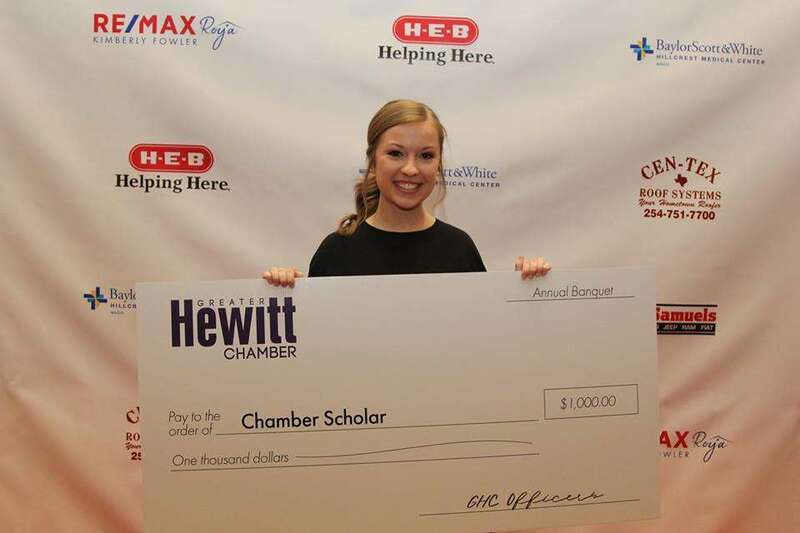 The Greater Hewitt Chamber Scholarship Fund was created in 2008 as a way to give back to our members and the communities we serve. Since 2008 the chamber has awarded over $60,000 to local students in the form of scholarships. 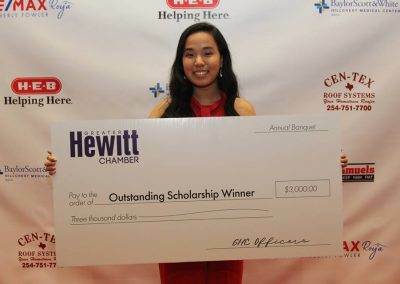 Please scroll down for Frequently Asked Questions and Types of Scholarships Awarded. Is my son/daughter a senior at Midway High School? If you answered yes, your student can apply. 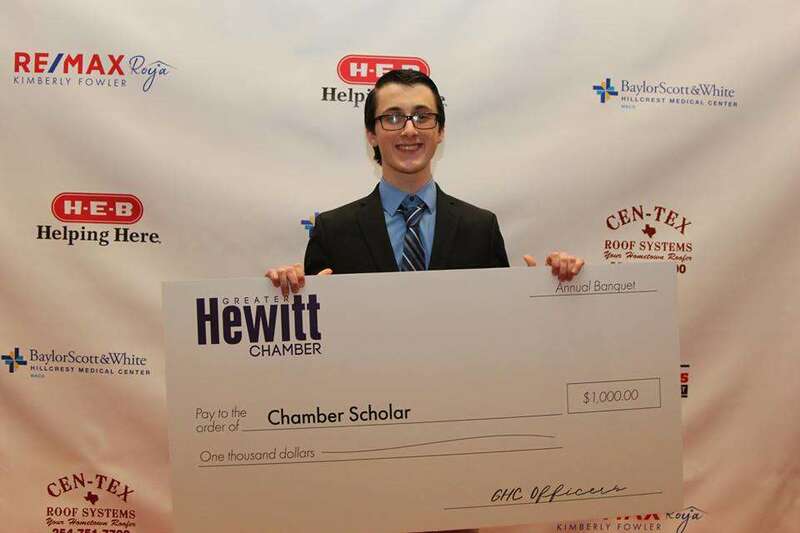 OR Is my employer a current Greater Hewitt Chamber member*? Is my son/daughter a senior? If you answered yes to both questions, your student can apply. *Not sure if your employer is a current member? 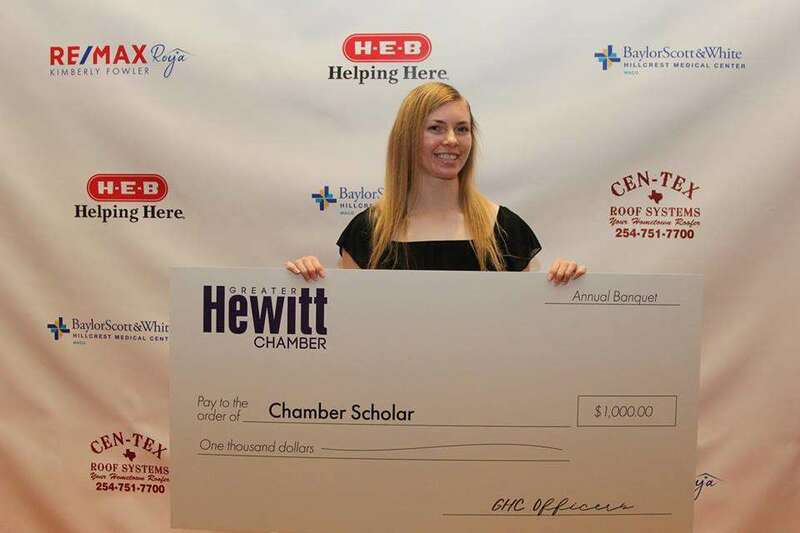 Click here for the Greater Hewitt Chamber member directory, or call 254.666.1200. What type of schools/colleges can scholarship go toward? 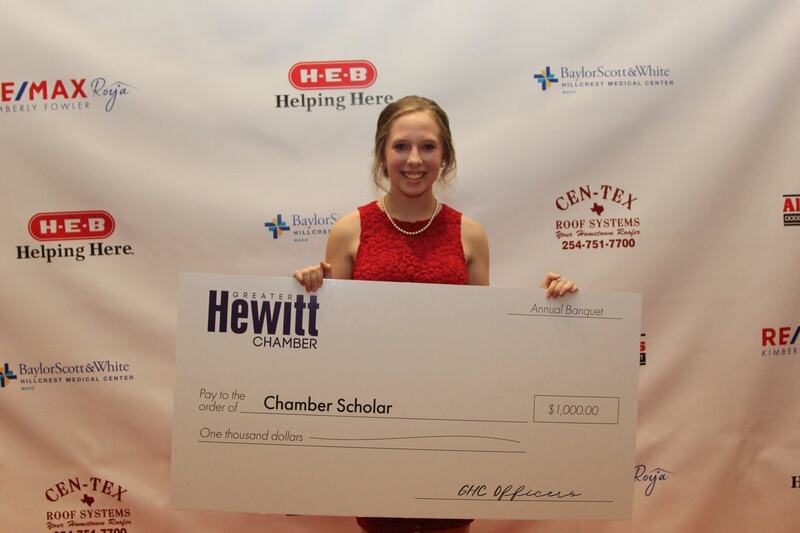 Scholarships may be awarded to students attending colleges, universities and trade schools. Eligible students are asked to complete and sign the online application which includes: applicant’s name and contact information; guardians’ names and contact information; student’s GPA and graduation date; school student will be attending after graduation; student’s activities, employment and volunteer information; two short essays (300-500 words each); school transcripts (unofficial accepted); household income and extenuating/special circumstances to consider. All applicants must also submit three evaluations completed by persons not related to applicant by the scholarship deadline. Please note that students applying to be considered for the Outstanding Community Service or Outstanding Business Development Award will be asked to complete a third short essay. 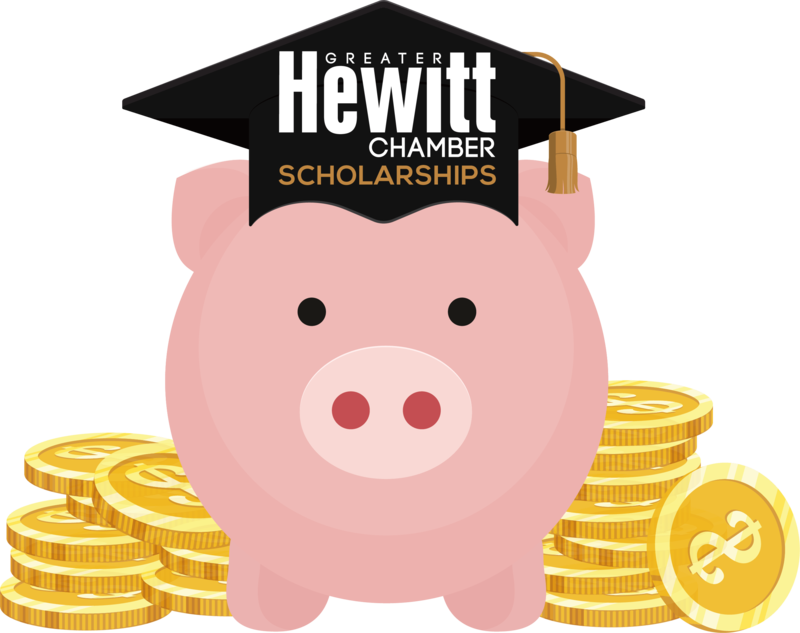 The online application and all supplementary files including evaluations and transcripts must be received by the Greater Hewitt Chamber by 11:59 p.m. on November 5, 2018. The Greater Hewitt Chamber Scholarship Committee receives applications with information identifying the student removed. The committee then reads through all applications before making their selections. The Greater Hewitt Chamber Scholarship Committee comprised of local community and business leaders reads the applications before making their decisions. 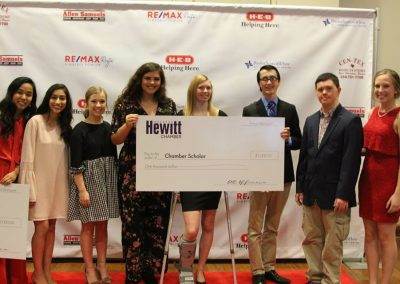 How do I claim my scholarship if I win? Congratulations to our 2018-2019 Scholarship Winners! 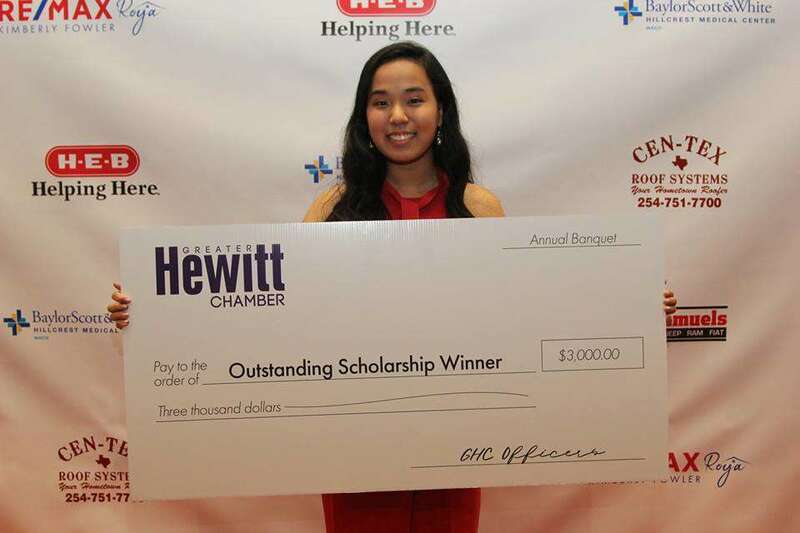 The Greater Hewitt Chamber of Commerce Outstanding Community Service Award ($3,000) recognizes those students who, by devoting their time, talents and expertise to serve the public good, have made significant, demonstrable, and direct contributions to society’s well-being. (3) Stands out among peers as individuals whose service has produced extraordinary results. Persons being nominated for this award will have consistently demonstrated qualities of compassion, and service to either one organization or a variety of volunteer activities in one year. The charitable activities / events or service listed on the application cannot be part of the nominee’s job description or duties and the individual cannot receive any monetary or personal benefits from their involvement. A maximum of one Outstanding Community Service Award will be awarded each year. Award is based on eligibility criteria and may not be awarded every year. 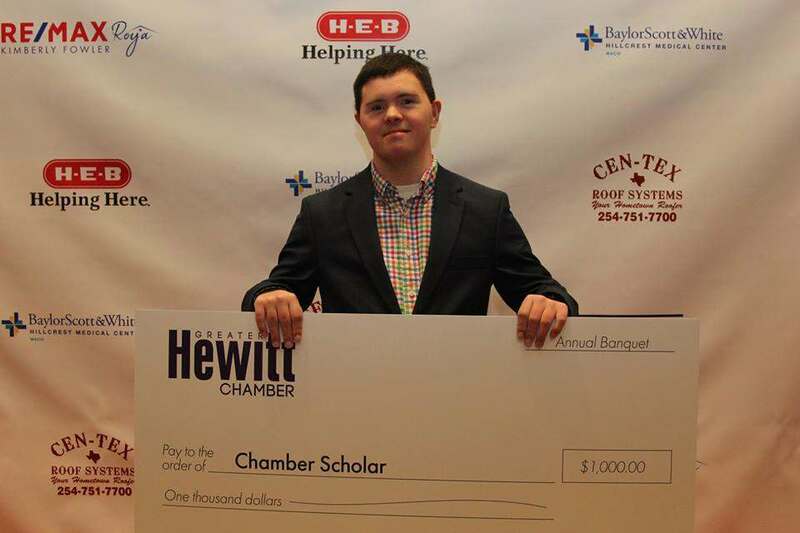 The Greater Hewitt Chamber of Commerce Outstanding Community Service Award was developed to recognize those students who are making significant contributions to their community through their time, actions, talents and dedication. The student selected should serve as a role model for compassion, and service and be striving to make the world a better place. He/she should have a passion for helping others in the Greater Hewitt community. 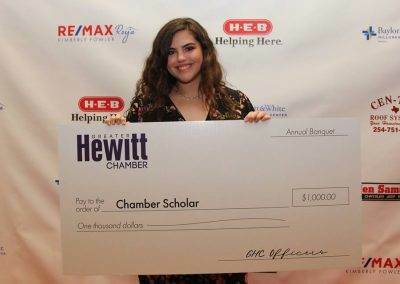 The student may have formed a community service org, devoted a significant number of hours to an existing community service organization, or in some other noteworthy way made a significant and positive impact on the Greater Hewitt community. 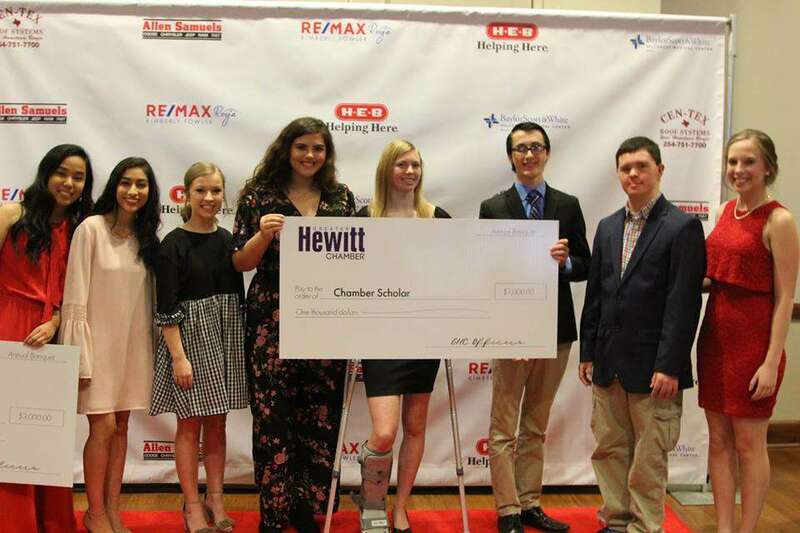 Please note if you are applying for Outstanding Community Service or Outstanding Business Development and are not selected, your application will be added back into the pool for Chamber Scholars consideration. Incomplete applications will not be considered. 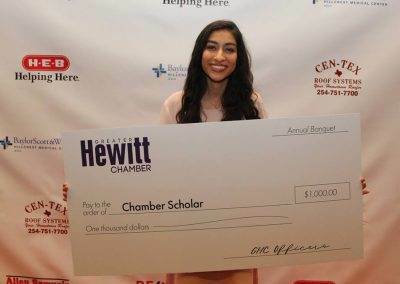 The Greater Hewitt Chamber of Commerce Outstanding Business Development Award ($3,000) recognizes those students who, by devoting their time, talents and expertise to foster and strengthen the Greater Hewitt business community, have made significant, demonstrable, and direct contributions to the current or future Greater Hewitt business community. (3) Stands out among peers as individuals whose commitment to business development has produced extraordinary results. A maximum of one Outstanding Business Development Award will be awarded each year. Award is based on eligibility criteria and may not be awarded every year. 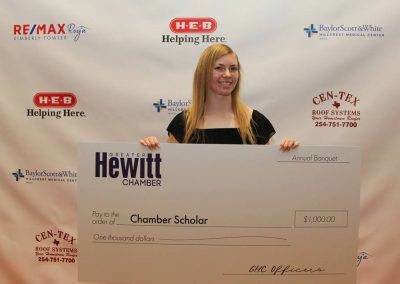 Persons nominated for this award will have exemplified the spirit of entrepreneurship in creating or developing a new business that contributes to the economy of the Greater Hewitt area, taken demonstrable and significant steps toward a career that will make contributions to the overall economy, or have played a significant role in strengthening or revitalizing an existing Greater Hewitt business. 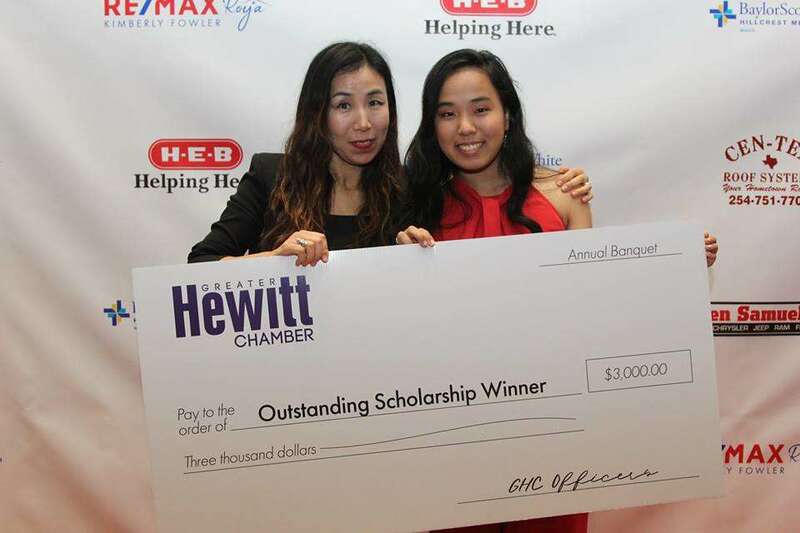 The Greater Hewitt Chamber of Commerce Outstanding Business Development Award was developed to recognize those students who are making significant contributions to their business community through their time, actions, talents and dedication. 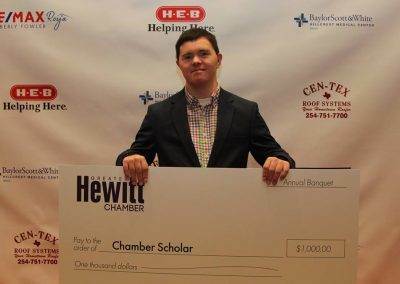 The student selected should serve as a role model for entrepreneurship, business development, and dedication to the strong business life of their community. 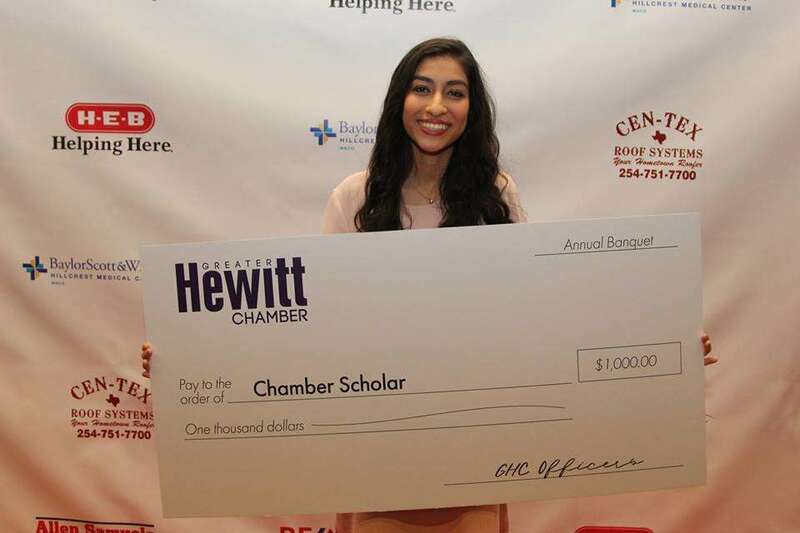 Chamber Scholars Awards ($1,000—minimum of 4 awards) recognizes those students who have demonstrated a high level of academic achievement and personal qualities, often overcoming significant obstacles in the process. Students who apply for Business Development and Community Service awards, but are not chosen, will be eligible for these awards. 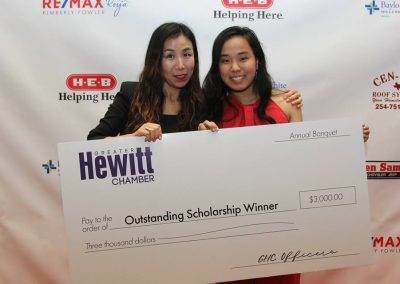 All scholarship awards will be distributed through the recipients’ school financial aid office and may be applied to any portion of the school’s fees. Chris Watkins, Lindsey Skinner, Regina Martinez, Adam Price, Cindy Praesel, Suzi Pagel, Jean Ann Hoover, Frank Thomas and Jan Thomas.